We organize and host group on- and off-road bike activites in and around greater Central Oregon. Through a partnership with the National Forest Service, we now provide tour and trail access in the Ochoco National Forest. 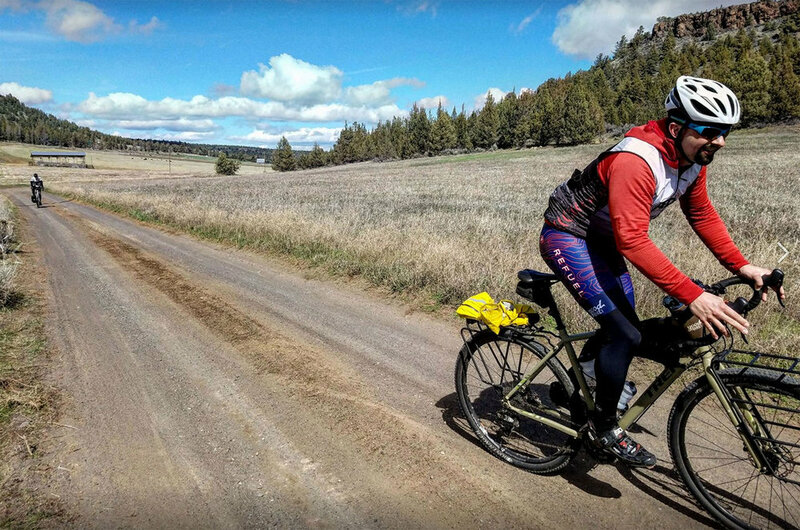 If you're traveling through on the Oregon Outback, looking for others to adventure with, or just want to learn more about bikepacking, check out our regularly scheduled bikepacking trips to experience why Central Oregon is a great place to explore. We organize regular group rides. Check the calendar for upcoming event listings and scheduled rides. Sign up to receive an email with the latest updates. Our Good Bike Co. University hosts various clinics, with topics ranging from the adventure bike lifestyle to maintenance. GBCU has an in-shop Classroom Series, plus a Field Trip Series, where you can join us out on the dirt to put your new skills to the test! Crooked River Open Pastures, C.R.O.P., organizes rotating farmer's markets on select Saturdays from Spring through Fall at some of Central Oregon's finest local craft businesses. We host C.R.O.P. markets at our shop from time to time. Check our calendar above or signup to our email list. Most workshops and group rides start from Good Bike Co.